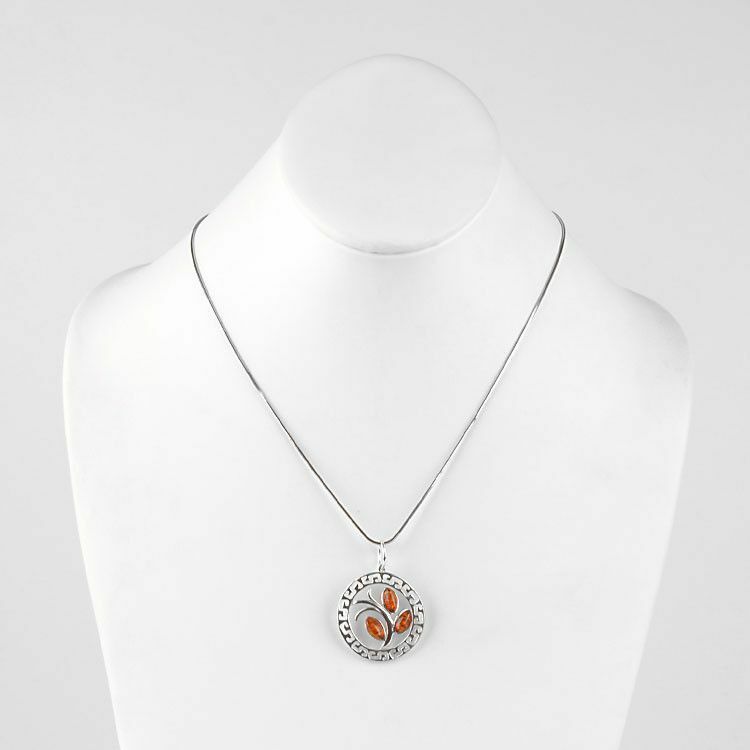 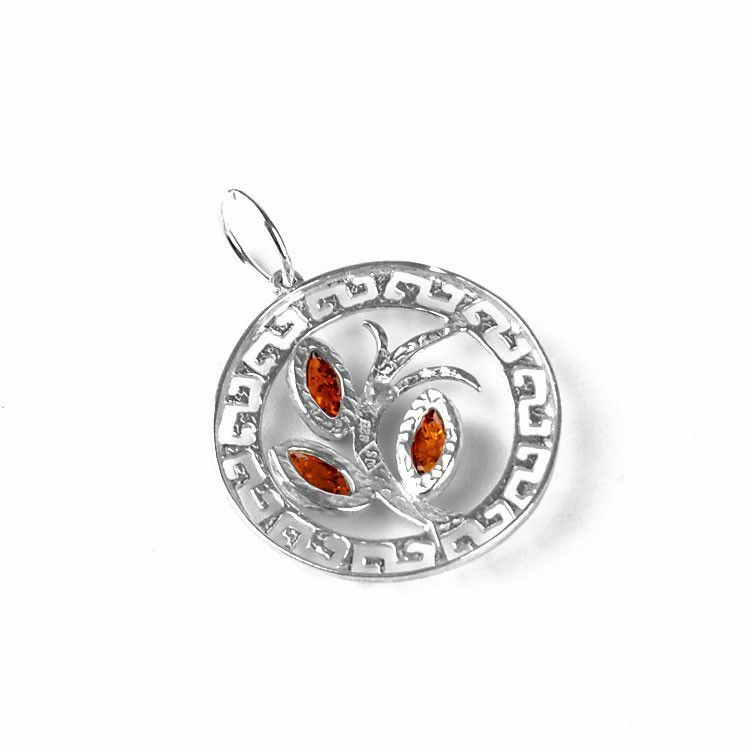 This 1 1/2" long, 1 1/8" wide pendant features an intricate design of sterling silver encasing a Tree of Life design. 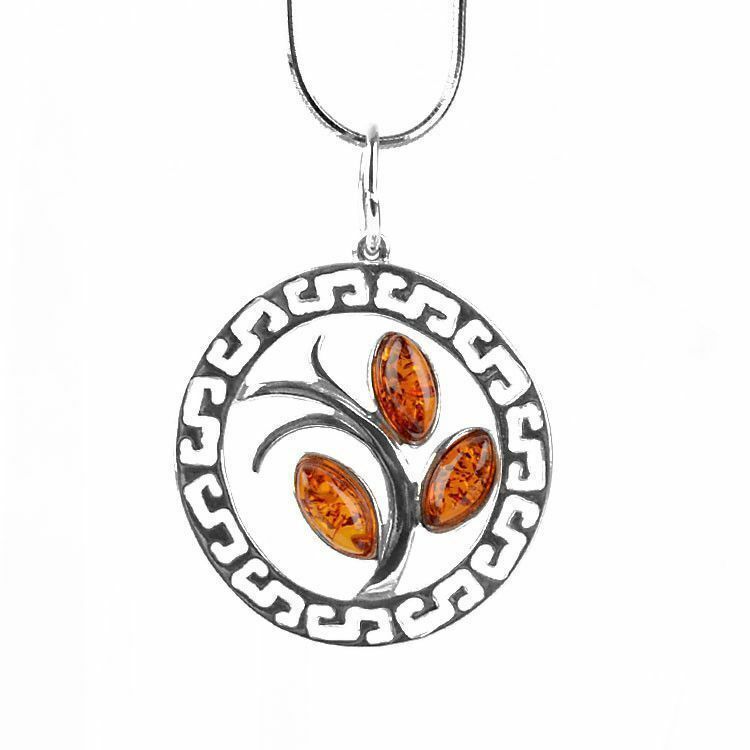 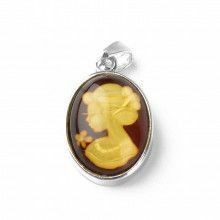 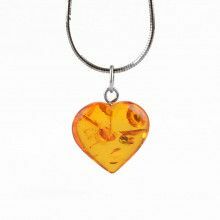 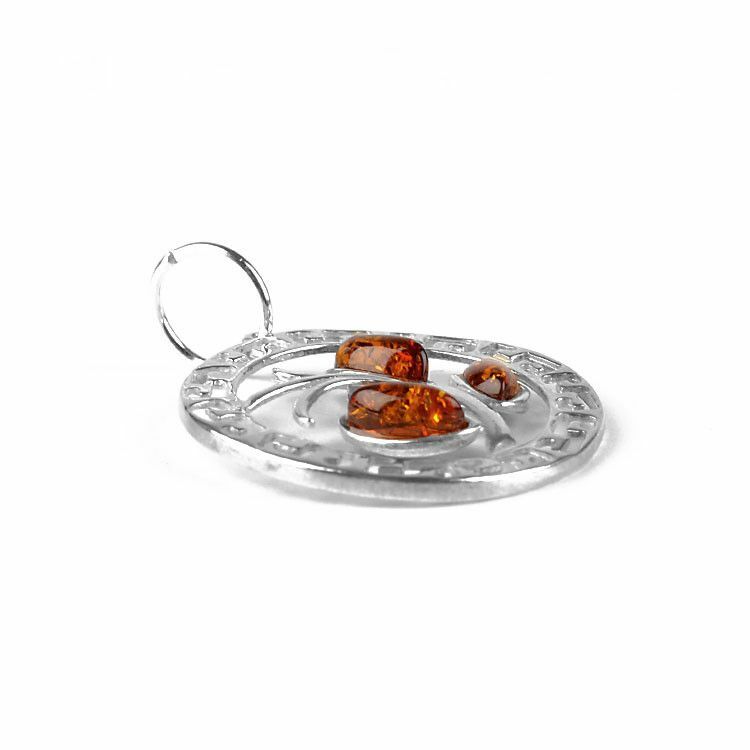 The trees' leaves are made with genuine amber from Russia. 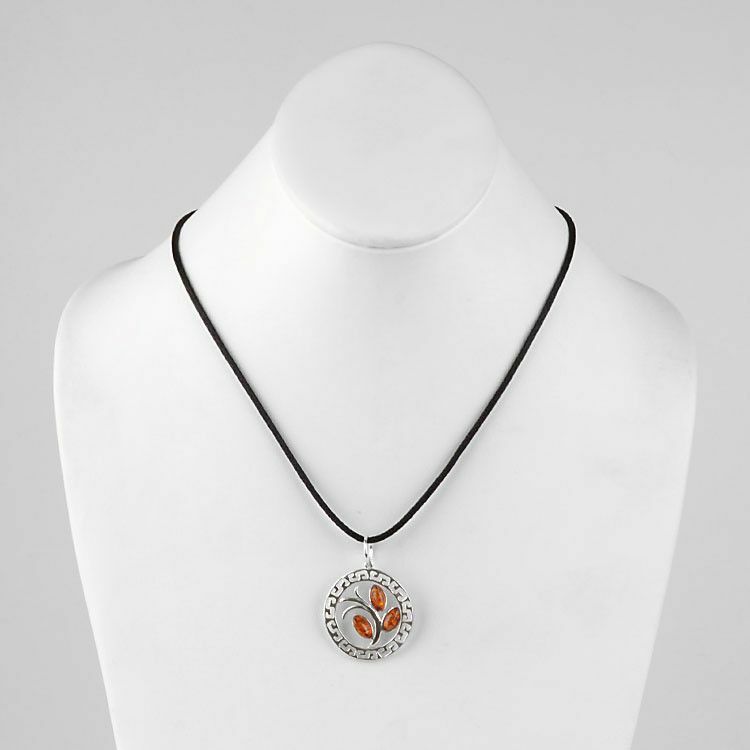 The leaves measure Approximately 3/8" x 1/8" and are set in sterling .925 silver. 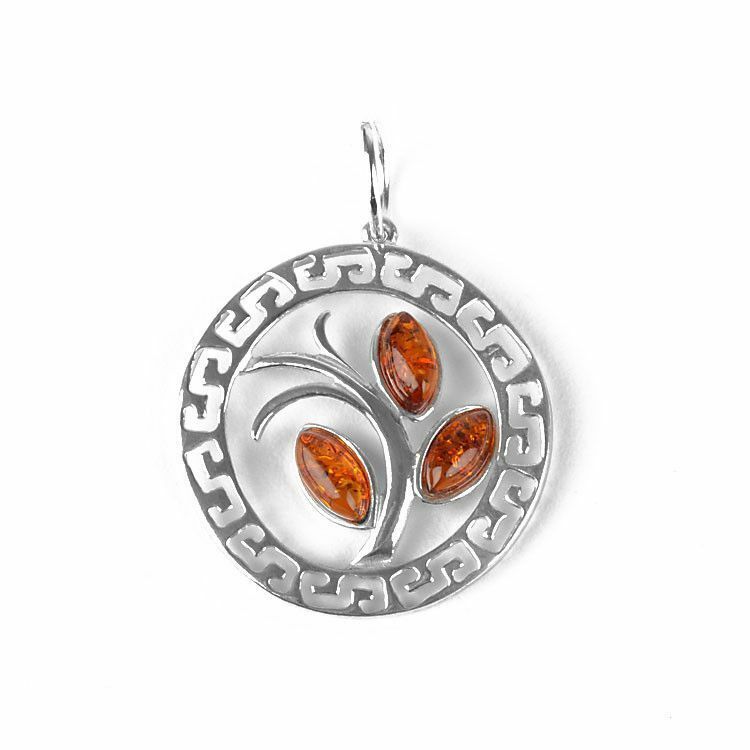 This pendant has a large hoop bail, allowing virtually any chain to pass through with ease. 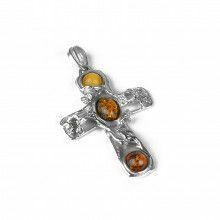 Pendant Measures: 1 1/2" x 1 1/8"
Amber Stones Measure: 3/8" x 1/8"